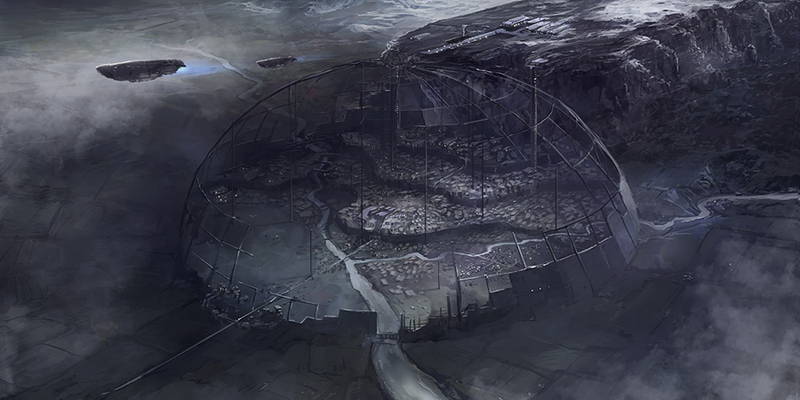 The talented work of concept artist Jeff Brown the image shows Dragonsmouth from the South West, looking through the shattered remains of the dome that was intended to protect the city from the Mists outside. However, during construction an accident (although some say it was Aurelian sabotage) a large section of the dome collapsed and damaged a large portion of the buildings below. This damaged resulted in the structure we see today, and gave the settlement its iconic name 'Dragons Mouth' based on the appearance of the broken dome appearing like the upper and lower teeth of a massive beast. Here's a sneak peak at some more work Jeff is doing for us, this time of the legendary Mist Titan that ravaged the land during the Age of Frozen Skies. 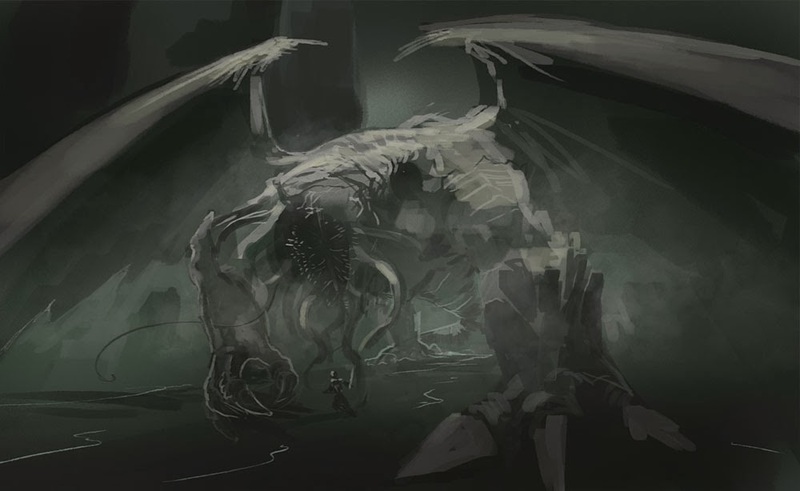 This is a very early sketch to help us get a feel for the angle and composition of the drawing, but already you can see that the Titan is quite the beast to behold, and it really reinforces the twisted, alien nature of the Mistspawn.